When you are shopping for a local lawn care company, you need to know the right questions to ask. Do the companies have experience with yards like yours? What kind of training/certifications does the owner (and their employees) have? Finding answers to these questions that satisfy what you are looking for will, in turn, lead to a happy and healthy lawn when you have chosen the right lawn professional. You may want to ask for referrals from a lawn care company so that you can speak with customers who are happy with the company’s practices. See if you can talk to people who have had the professionals manage the same or similar lawn issues as yours. Have the Companies Been in Business for Years? Professionals who have kept their businesses open and thriving over a long period of time are the ones you want to work with. You should find out more about the company and owner history before you hire people to care for your lawn. What Kind of Training Does the Owner (and Their Employees) Have? Checking the certifications and training of the people that run a lawn care company is necessary. For example, if you need some special care, such as organic lawn, plant, and garden help, then make sure to ask if the employees know the best practices for this kind of yard care. Asking a few simple questions of lawn care professionals will pay off when you hire a company to take care of your yard. 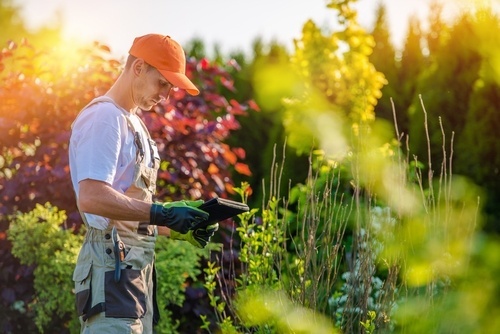 The peace of mind that comes from having the right people maintaining what grows outside your home is worth a little research.